It is a tradition that is passed down from generation to generation in my family. I can remember going to visit my grandma’s house and she always had cookies for us to munch on. I remember that she always baked chocolate chip cookies that had walnuts in them; which were always a treat, since I love nuts in baked goods and my mom didn’t add nuts to her chocolate chip cookies. And then my mom baked cookies; I can remember coming home from school to a house that was filled with the aroma of freshly baked cookies. That is a smell that you never forget. So you can see why I like to bake cookies. This past week I was in the mood for baking cookies, but I really wanted to makes something new. So when I noticed the bananas that were sitting on our counter that were getting a little on the ripe side, that gave me the idea of banana cookies. I started a search on the web, which offered a variety of banana cookies. I decided on combining a few of the recipes to come up with the recipe that I am posting today. 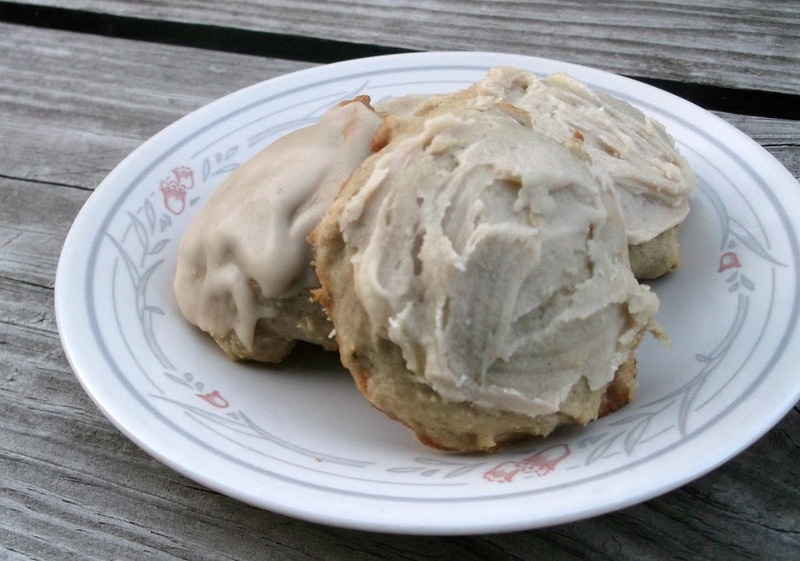 This recipe produces a nice moist banana cookie. The flavor reminds me of banana bread and the texture reminds me of banana cake. Plus these cookies freeze nicely. In a large bowl, cream shortening and sugars until well blended. Add eggs, once the eggs are blend into the cream mixture and mashed bananas and mix well. Combine the flour, baking soda, cinnamon, and salt; add to the cream mixture and mix well. Drop by rounded teaspoons onto a greased baking sheet. (Cookies are soft, so you can use another spoon to slide the dough onto the pan). Bake for 10 to 12 minutes until lightly brown. Remove to a wire rack and cool. In a small saucepan add butter and melt, to the melted butter add the brown sugar and milk. Bring these three ingredients to a boil and boil a minute or two. Take off of stove a cool for a couple of minutes. After cooling add the confectioners’ sugar, cinnamon, and vanilla, beat until smooth. (I don’t add all the confectioners’ sugar at one time, but add it gradually until it is at the right consistency for spreading). 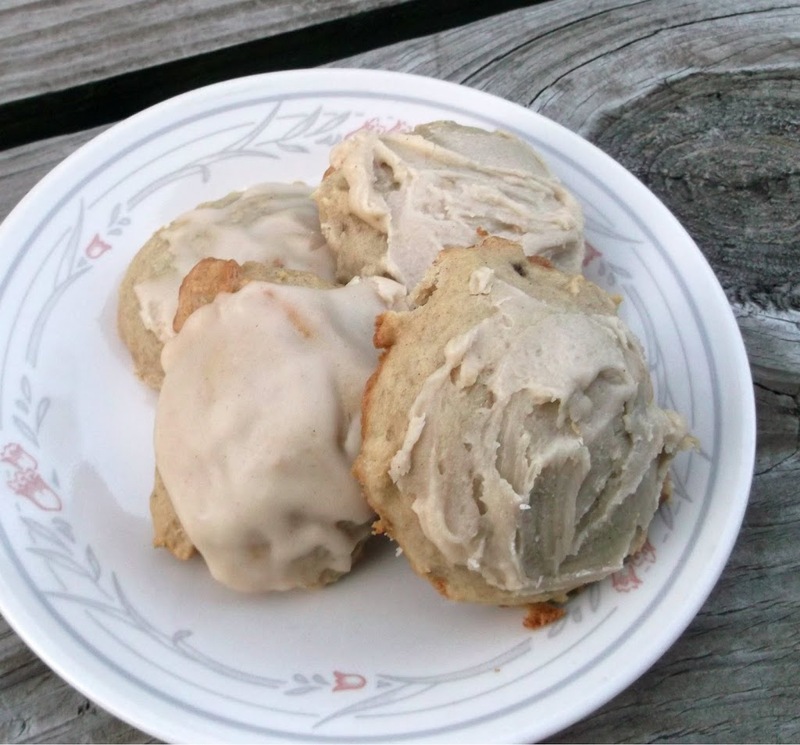 Once the cookies are cooled frost with frosting and enjoy. They look so good! I love the frosting slathered on them. YUM. It didn’t occur to me that you can freeze cookies, a very good idea! Next time I bake a double portion and freeze the other half. These banana cookies sound yummy! 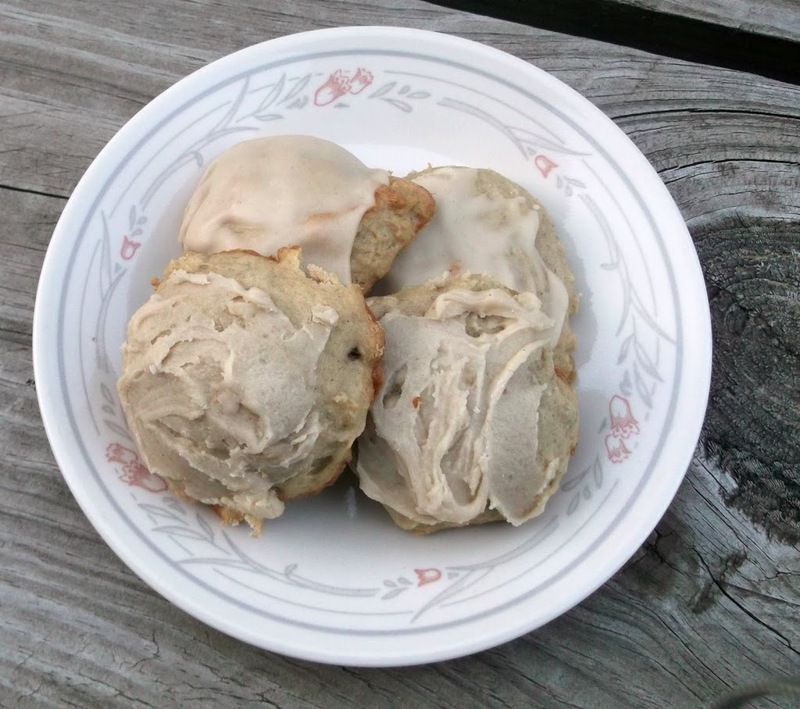 I think my kids will remember the cookies I baked when they were growing up, too…and hope to bake for grandchildren some day 🙂 Your iced banana cookies look wonderful! Cookies are a great way to say “I love you.” These look amazing. Pinned!